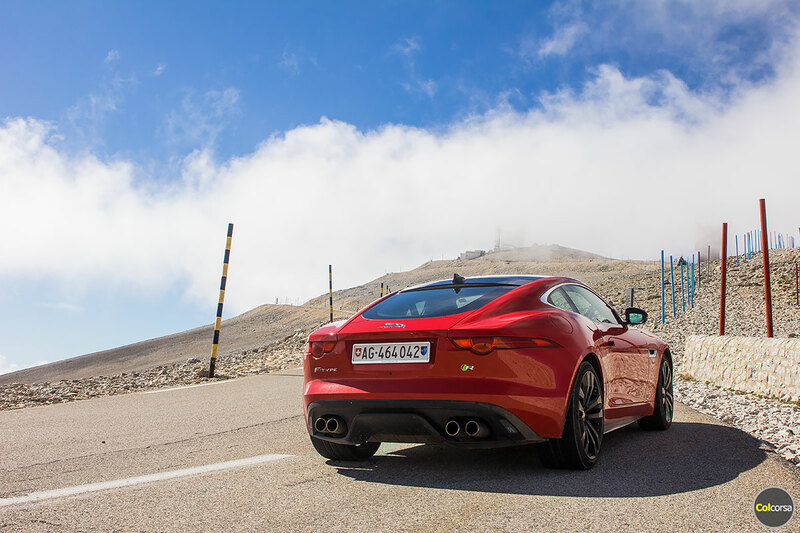 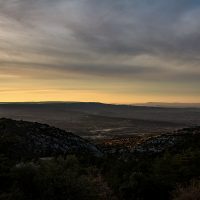 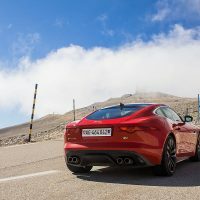 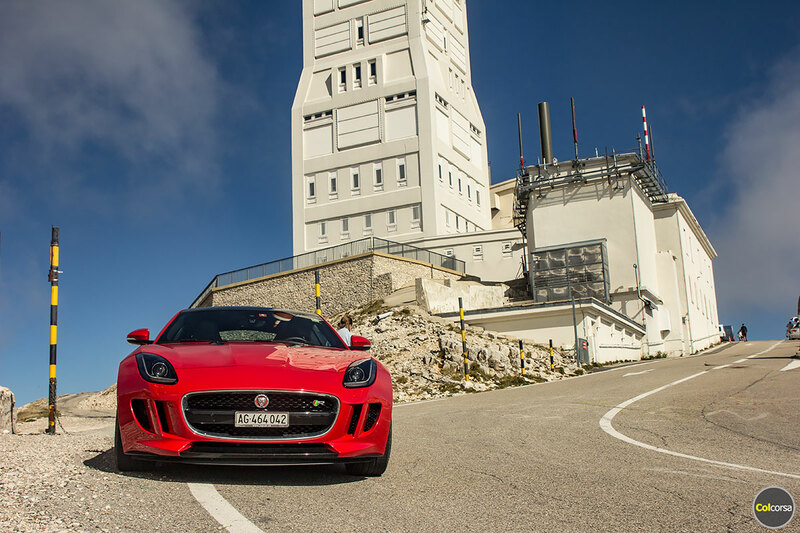 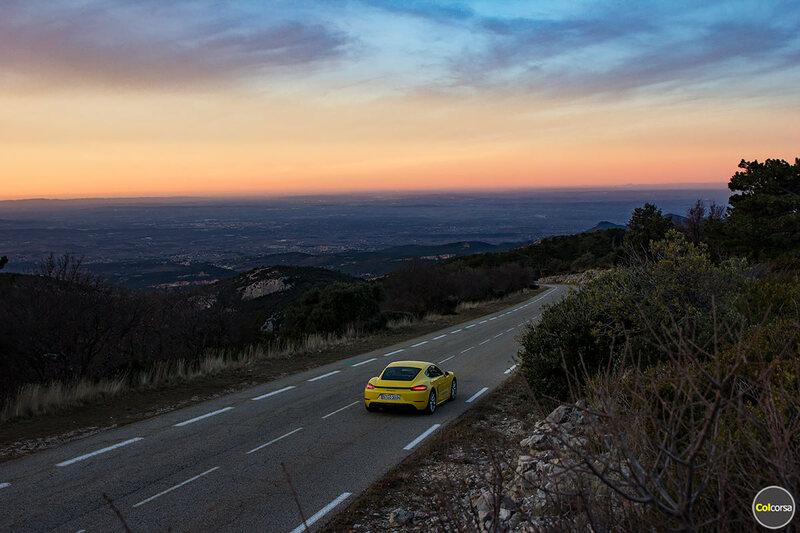 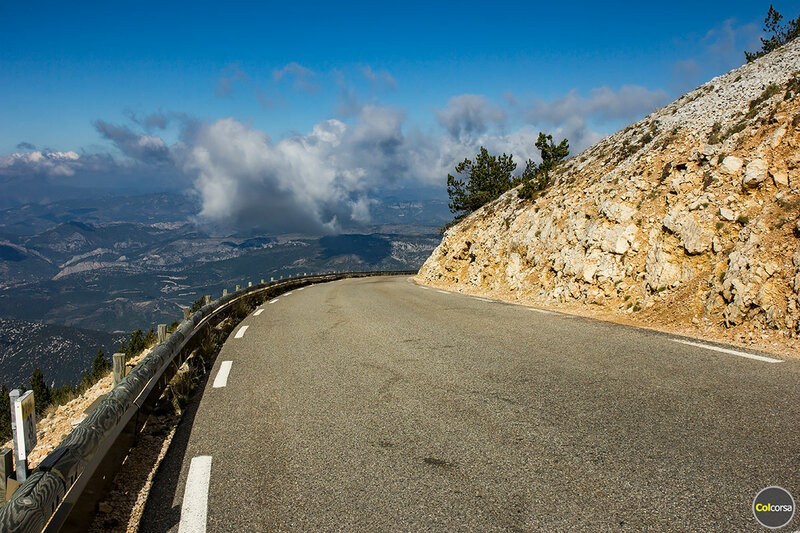 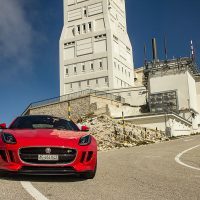 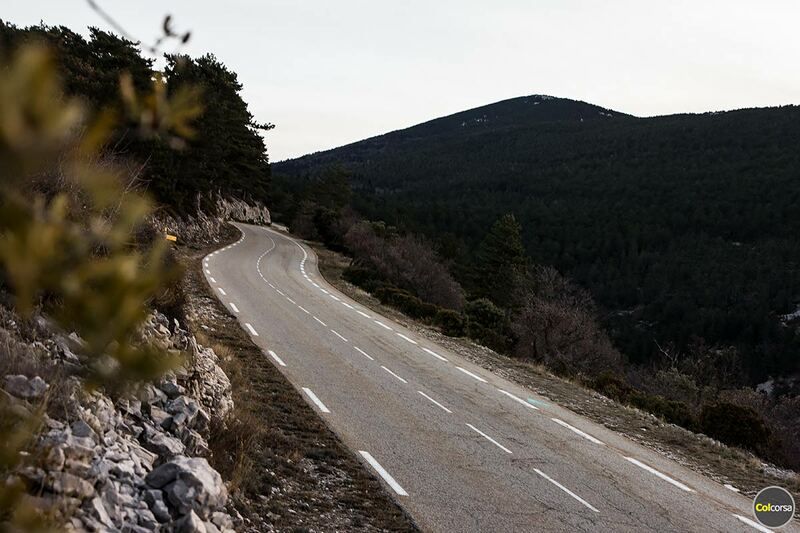 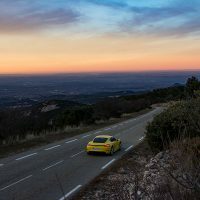 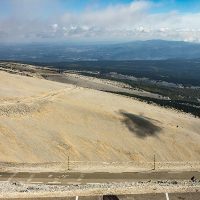 One of the best driving roads in France is the road that goes up on the mountain Mont Ventoux, all the way up to 1,912 m above the sea level in Provence. 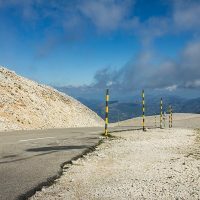 Venteux is the French word for windy and at the summit wind speeds as high as 320 km/h have been recorded, and sometimes the pass is closed because of those strong winds. 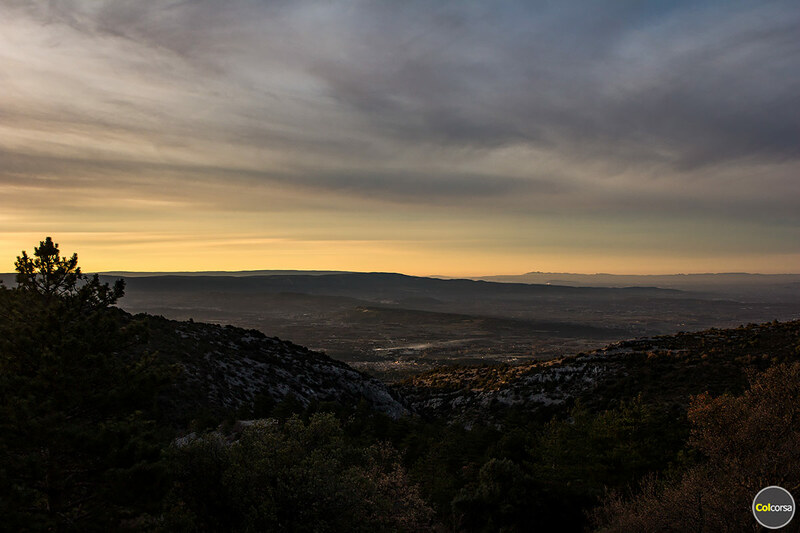 However on a beautiful day this high mountain offers some of the most amazing panoramic views over Provence. 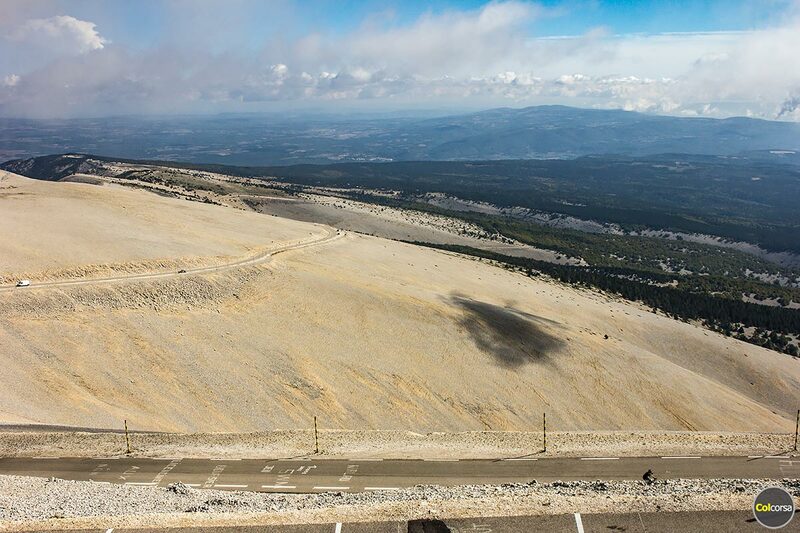 Mont Ventoux is the highest mountain in this region and has been given the nickname “Beast of Provence”. 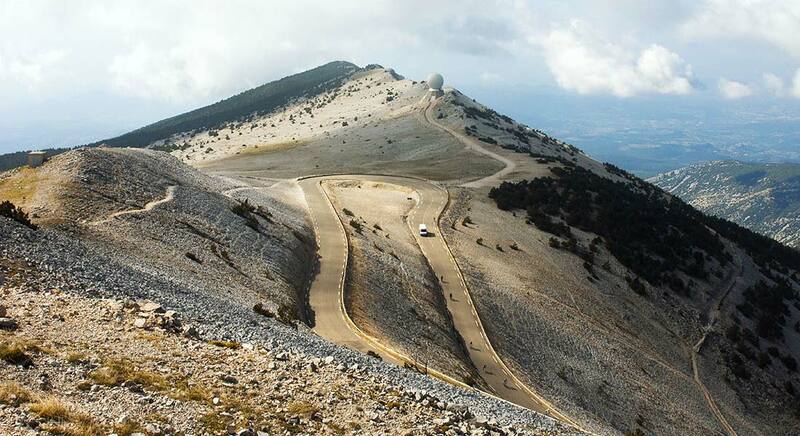 The top of the mountain is bare limestone without vegetation or trees, and the landscape is very unique in this part of Europe. 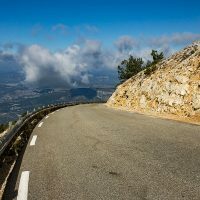 As a driving road it is fantastic – a beautiful mix of long straights and some thrilling corners before you get closer to the top, where you might drive through a layer of low clouds before reaching the weather station at the top. 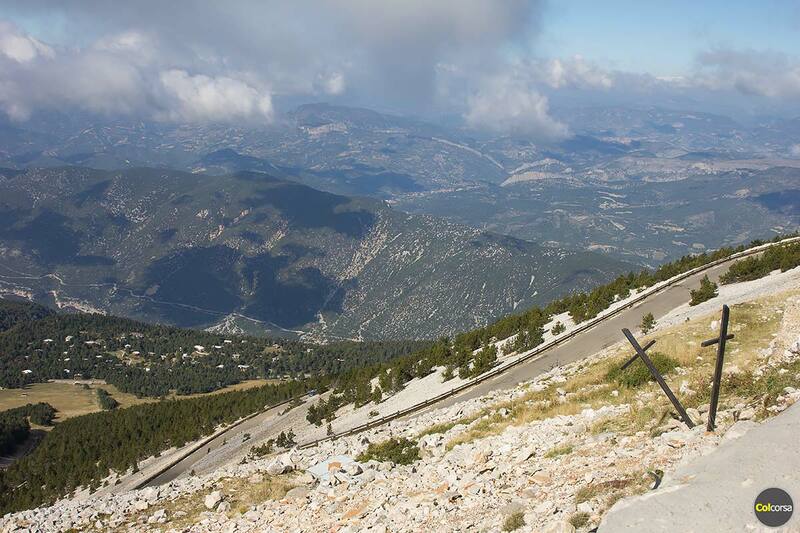 There is also a 15th century chapel on the top. 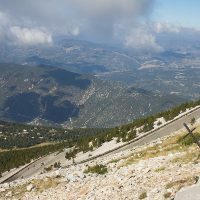 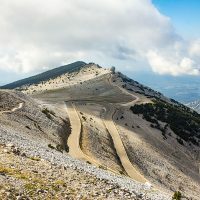 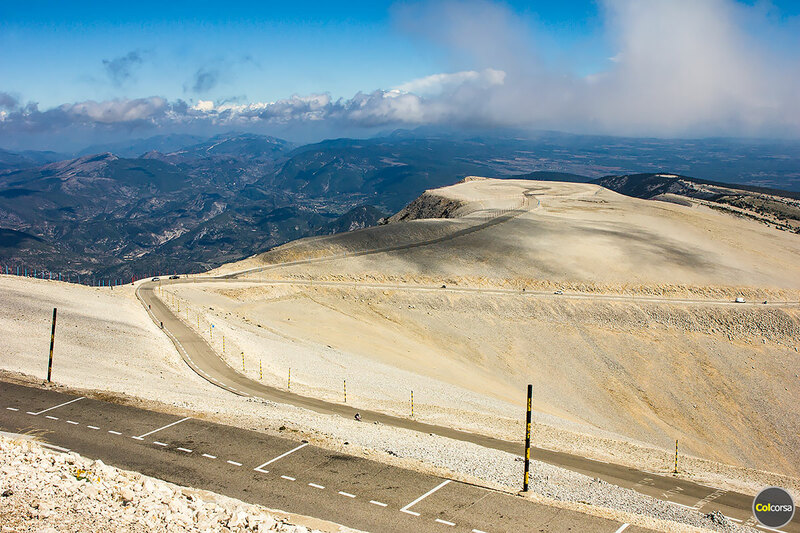 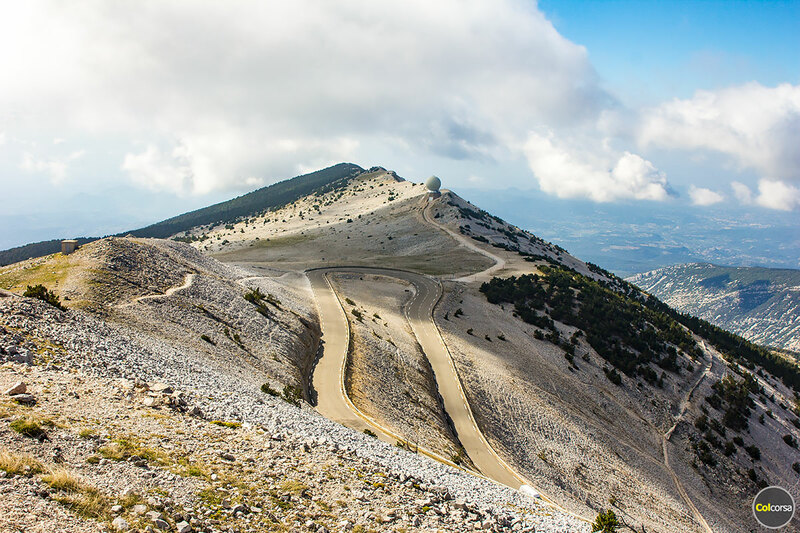 There are three routes up to the summit of Mont Ventoux. 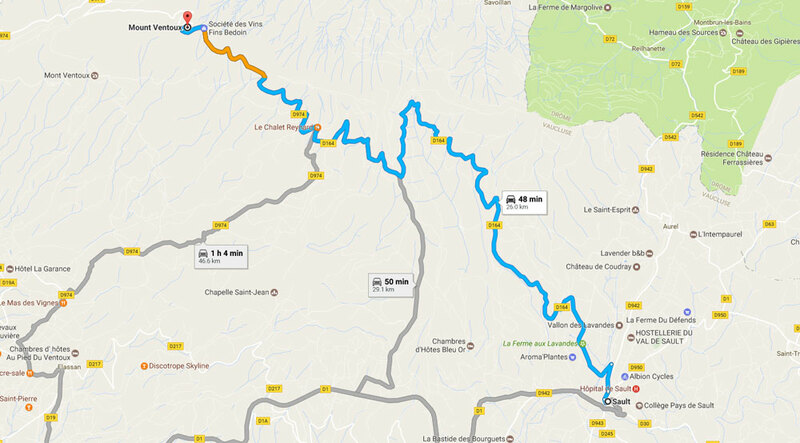 If you start the drive south from Bédoin you will climb 1617 m over 21,8 km, and this is the most famous and difficult ascent because of the winds and an average gradient of 7.43%. 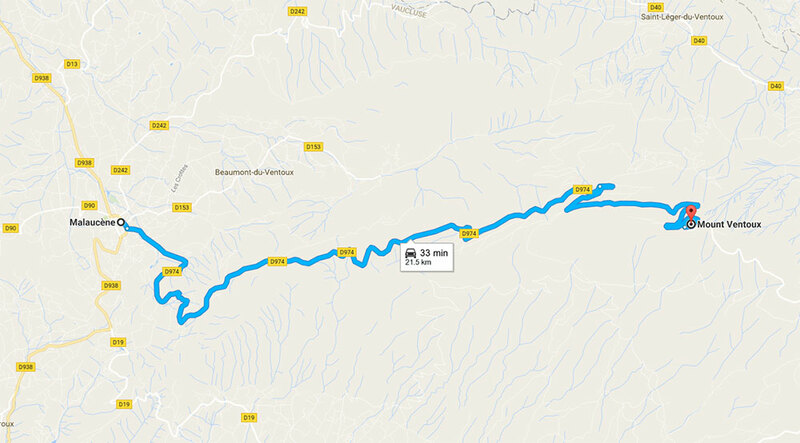 Or you can take the even easier route from Sault in east and climb 1210 m over 26 km with an average average gradient of 4.4%. 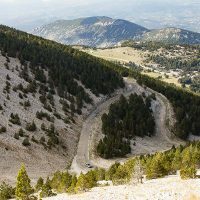 These two routes are more open roads with less hairpins, first through forest landscapes until the road climbs up above tree level and you get a desert-like landscape that almost looks like another planet. 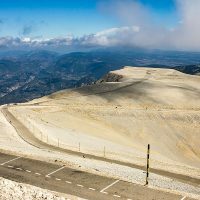 The road from Bédoin to the pass summit is open usually from 15th April to around 20th November. 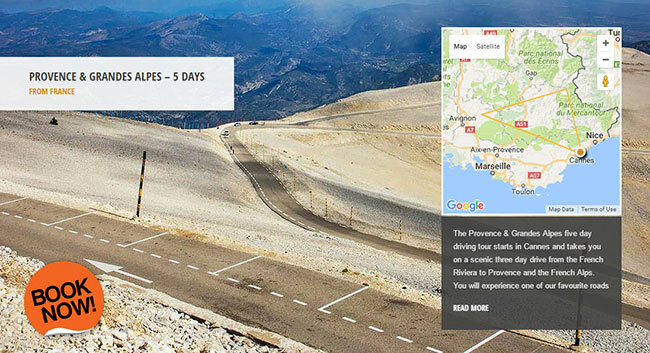 You can also start the drive from northwest in the town Malaucène. 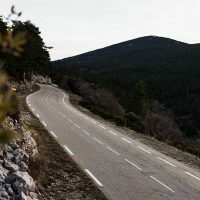 The difficulty level is almost the same as if you would start from Bédoin, although this section of the road is also better sheltered from the wind. 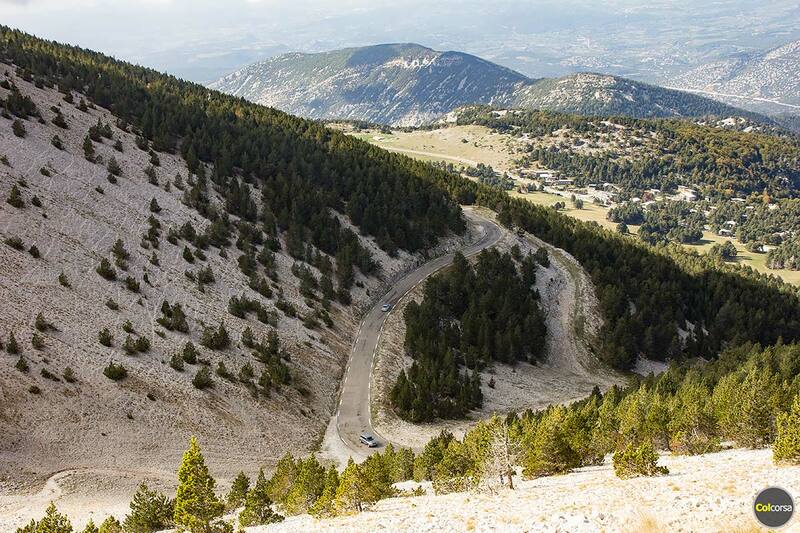 The road from Malaucène is the same road that in the winter would take you up to the Mont Serein ski station. 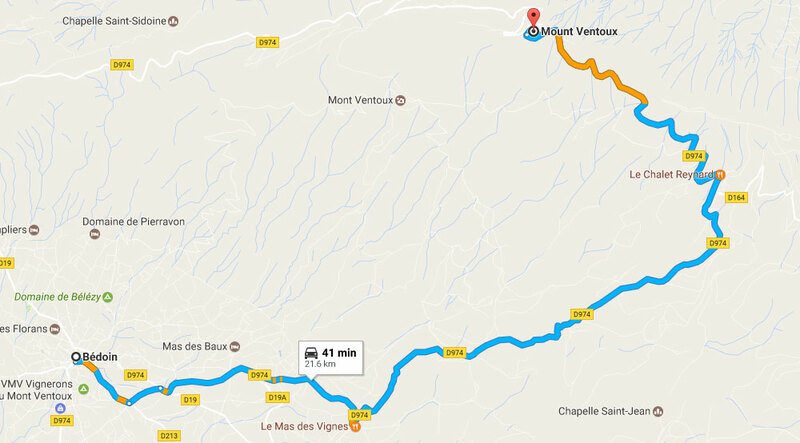 When the last kilometres of the pass is closed it is still an enjoyable drive up to the Mont Serein ski station during the winter months – a tip for those who are in the search of scenic roads to drive in December, January and so on. 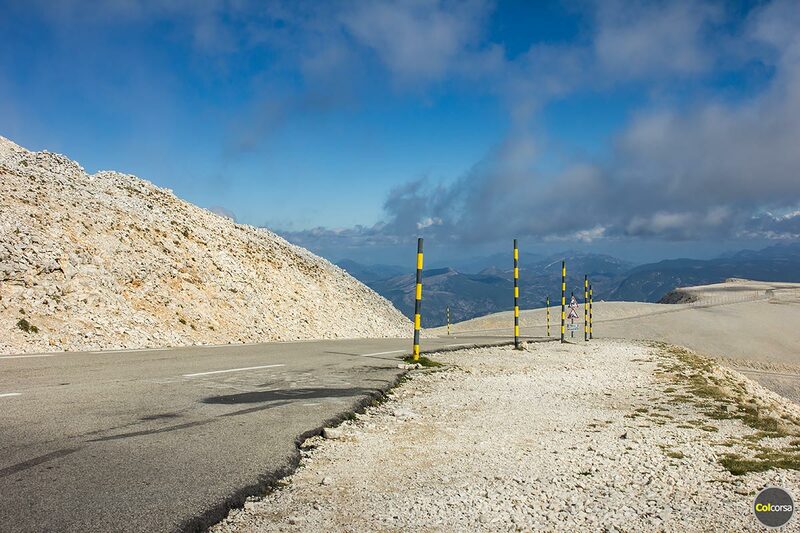 The last section of the road that goes up to the pass summit stays open from 15th May to around 20th November.